Do I Need Ativan Rehab? Is There Ativan Treatment? What Is Ativan? Is Ativan Addictive? Ativan (generic name: lorazepam) is a benzodiazepine drug often used for the short-term treatment of anxiety, insomnia and sedation of hospitalized patients. When misused, Ativan can lead to addiction and can have hazardous long-term consequences on a person's life. Rehabilitation is often required for those suffering from Ativan dependence. Find a Rehab Center If you notice any of the signs of addiction in yourself or someone you love, don't wait to get support. It's never too late to get help. Find a treatment center now. Ativan should only be taken on a short-term basis. The FDA advises against use of benzodiazepines such as Ativan for longer than 4 weeks. Longer-term use often leads to addiction and numerous negative effects, ranging from physical symptoms to unhealthy lifestyle changes. The possibility of addiction is especially high when the patient has a history of drug or alcohol dependence. The development of tolerance that leads to the need to take an increasing amount of Ativan to reduce anxiety. Lack of self-control and/or impaired judgment. Memory loss and trouble with learning. Declining performance at school or work due to Ativan use. Financial difficulties due to Ativan-related expenses. WARNING! Ativan and other similar sedatives have been directly linked to more than half of drug-related suicide attempts involving prescription drugs. Therefore, it's extremely important to take Ativan with caution and to seek treatment right away if you're developing a dependence. A thorough physical and psychological assessment is taken when you arrive at rehab. Here, experienced staff who know the ins and outs of drug addiction will support you through a successful completion of Ativan detox. Commonly, the first phase of treatment is detox. Ativan withdrawal can be very painful and uncomfortable; however, your symptoms can be managed in a center that offers medically supervised detoxification. Dual diagnosis counseling, if concurrent mental or behavioral health issues are present. Since being cut off from loved ones is a concern for many entering treatment, incorporating the participation of family members is often implemented in treatment. Family involvement in the rehabilitation process can be a key element in maintaining recovery after leaving treatment. Physical symptoms can be stabilized. Psychological issues can be dealt with. Coping skills can be successfully acquired. Medical staff members are present to monitor the physical and emotional status of the patient throughout the process. If time or budget constraints are a serious concern, then a shorter stay may be required. Even a short stay is better than avoiding treatment. Following the intake assessment, the doctor might recommend a detoxification process following addiction therapy. Treatment can last anywhere from 1-6 months or longer, depending on a number of factors. The severity of illness will naturally play a part. If time or budget constraints are a serious concern, then a shorter stay may be required. Even a short stay is better than avoiding treatment. Outpatient treatment, on the other hand, continues for as long as necessary. Dual diagnosis care for those suffering from a mental health issue in addition to their addiction. Deciding upon the right type of rehab for you starts with first knowing what is out there and then having a discussion with a medical professional you trust. Residential programs provide full-time care that includes round-the clock medical treatment, support, and guidance. These programs often last one month or longer, depending upon the severity of the addiction. Executive rehab facilities are specifically targeted to those who need to maintain control of their business or work life during the recovery process. Executive facilities allow access to laptops and other mobile devices at the center. Paying for treatment is a major concern for many individuals struggling with substance abuse and their families. 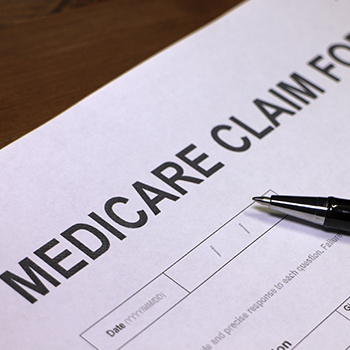 However, health insurance often covers treatment, making it affordable for those who need it. Other options for payment also exist and should be explored if you or someone you care about is suffering from an addiction to Ativan. Private loans (help from friends and family). Public loans or publicly funded rehab stints. According to the Affordable Care Act (2010), insurance companies are required to provide policies with mental health and substance abuse coverage. The cost of these programs vary; however, the cost of residential treatment is higher than that of outpatient care. Luxury drug rehab centers can cost as much as several thousand dollars per month to attend. That being said, it is important for anyone considering rehab to understand that the ultimate costs of Ativan addiction can be far more expensive than the price of effective treatment, because it endangers the mental and physical health of a person. Find a Meeting Those who attend regular support group meetings, such as 12-step programs, have better long-term outcomes. Find a meeting now. Weekly check-ins. Weekly check-ins by phone are conducted to monitor the progress of patients and help with any obstacles. Drop-in sessions. These sessions let patients stop by the center for a meeting whenever they need additional support. Support programs. 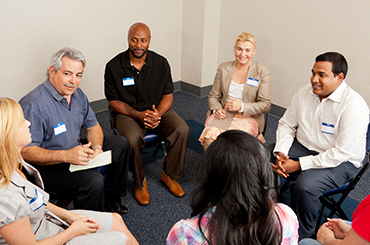 These programs can consist of group therapy, support groups, family therapy, etc. Cost varies considerably based on the length of your stay and the types of amenities you want. Pay particular attention to rates for cases of Ativan or other benzodiazepine abuse. 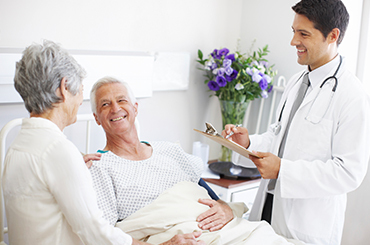 The inpatient rehab center should offer a combination of effective therapies. The facility should only hire professionally trained staff. Doctors and nurses should be specially trained in rehabilitation to help with any challenges that may arise, ensuring proper care. Residential facilities should have 24/7 care available to help with any situation that may occur during the recovery process. Addiction to benzodiazepines like Ativan is often difficult to assess, particularly if you have been prescribed the drug for a legitimate condition. The line between using a prescription and misusing a prescription is very thin, and can often become blurred if a physical or psychological difficulty can be relied upon as an explanation. Finding a rehab program that can address not only the addiction, but the underlying conditions is important, and this can be overwhelming. Treatment support advisors are available 24/7 to answer any questions you may have and can guide you to an Ativan rehabilitation program that suits your needs. Please call 1-888-993-3112Who Answers? today.